Leaving Yellowstone behind us, we traveled east to Cody Wyoming for a day at the Buffalo Bill Historical Center. The BBHC is 5 museum wings and well worth a visit. Leaving Cody we traveled south to Casper Wyoming. 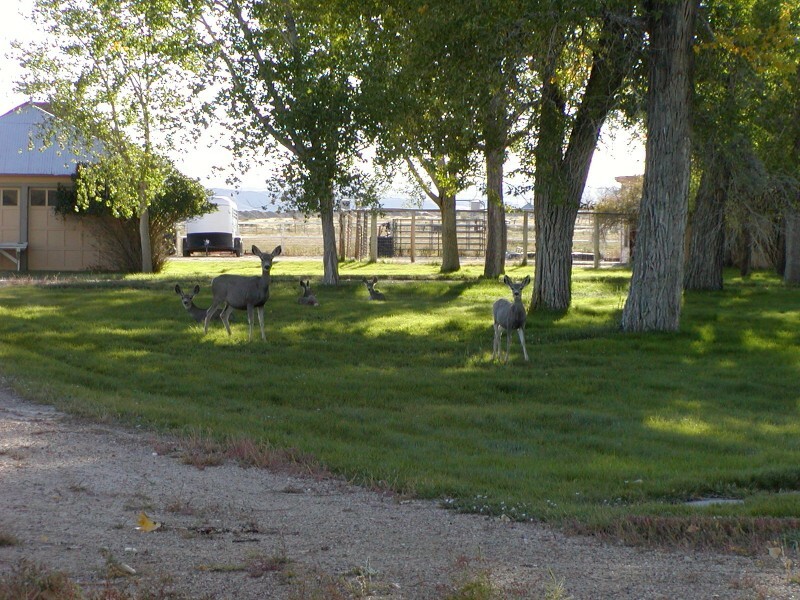 The photo above is Mule Deer on the lawn of the "Big Teepee". My companions from previous trips to Casper will know about the Big Teepee. For the remainder of the audience, ask me in person sometime and I will fill you in on this piece of the West.